2016 Software 500 Companies. Market consolidation rocks the top while innovation fuels the bottom. The total software and service revenue for the 2016 Software 500 reached 705.8 billion, down 5.7 percent from 748.7 billion reported in the 2015 Software 500. 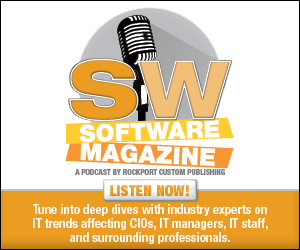 Now in its 34th year, the Software 500 provides a detailed look at changes in the software industry from a revenue, employee, and research and development (R&D) perspective. The 2016 Software 500 is based on each companie’s 2015 fiscal year reports. For the purpose of the Software 500, we observe fiscal year periods that end between March 31, 2015 through February 29, 2016. With insights taken from the extensive survey results, we determine that top growth areas include business process management, social analytics, and database/data management, all offering an average growth per company above 50 percent over the 2015 fiscal year. There are also changes in the top ten. The top four from 2015—IBM, Microsoft, Oracle, and Accenture—all maintained their rank. The former Hewlett Packard drops, but appears as two separate companies as number six and seven, Hewlett Packard Enterprise and HP Inc., following Hewlett Packard’s split into two companies last year. Market consolidation also factored into changes in the top ten. EMC corporation was acquired by Dell., a private company Hitachi also dropped from the list as the company decided to not disclose its software revenue within its 2015 annual report. Continued market consolidation and privatization makes the search for Software 500 revenue data more challenging each year, but also leaves the opportunity for inclusion at the bottom of the ranking for smaller organizations. In addition to revenue and growth, the state of employee staffing helps provide a sense of the health of each business category as well as the industry as a whole. Therefore, the total number of employees reported in the 2016 Software 500 is 5,901,438, a slight growth—just under six percent—from last year’s overall 5,572,404 employees for the 2015 ranking. As for top employers, IBM comes out on top again, but reports a reduced head count of 377,757. This is down from 412,775 the previous year. The number two spot is taken by Accenture plc, reporting 358,000 employees in 2015. R&D helps determine both the current and future health of a company. The companies that dedicated the most to R&D this year are on the lower end of the Software 500 ranking, the top ten R&D spenders all rank after number 350. The average R&D investment overall is 15.2, which is up from last year’s average of 13.4. It is also worth noting that this only includes those that disclose their R&D revenue. The number one leader in companies with software and services over $1 billion is Sopra Steria, a company that has undergone several changes over the past few years. The company ranks number 37 from 56 and showing 59 percent growth and nearly $4 billion in revenue. The Paris, France-based company provides a portfolio of end-to-end service offerings, including consulting, systems integration, software development, infrastructure management, and business process services. Also in this category we see strong growth from Wincor Nixdorf, Workday Inc., Service Now, and Cerner Corporation. We also track those reporting strong growth in the category of $100 million to $1 billion. Topping this is Micro Focus International. Headquartered in Newbury, U.K., the company merged with U.S.-based Attachmate Group in 2014. The global infrastructure software company offers a portfolio designed to enable its customers to embrace the latest technologies while maximizing their IT investments. Other top performers in this reporting segment include Tableau Software, Splunk, NetSuite, and Luxoft. Earlier this year; Oracle announced its agreement to acquire NetSuite, a transaction valued at approximately $9.3 billion. Further down the ranking, top growth leaders in the $50 million to $100 million segment include Sphere 3D company, Square Inc., and Episerver—each with triple digit growth rates for the reporting year. Based in Canada, Sphere 3D Corp. provides virtualization technology and data management solutions that enable workload-optimized solutions. Its portfolio includes a combination of virtual applications, virtual desktops, virtual storage, and physical hyper-converged platforms. In the $30 million to $50 million range, top growth companies include Oildex, Prophix Software, and Qumu Corporation. Oildex’s goal is to transforms the way oil and gas companies manage their financial operations. The company provides cloud-based solutions for oil and gas financial supply chain automation. It offers functionality built for the industry, eliminates paper-based processes, and provides analytics for better financial insight. The Oildex technology platform includes digital and scanned invoice processing, owner relations Web portals, royalty check stub detail and reporting, joint interest bill processing, crude oil data exchange, gas plant document exchange, and production and sales volume reporting. Among those with top growth in revenue $10 million and under category include AlphaPoint Technology and SharpSpring. AlphaPoint Technology is located in Sarasota, FL and is a publicly held information technology company that provides technology solutions for mid- to large-size organizations and global enterprises. Towards the end of 2015, the company announced the acquisition of Strategy to Revenue, a Revenue Acceleration Company based in the U.K. This launched AlphaPoint’s strategic plan for rapid growth in 2016 through acquisitions. SharpSpring, Inc. is a cloud-based marketing technology company. Its products are designed to improve the way that businesses communicate with their prospects and customers to increase sales. The SharpSpring marketing automation platform uses advanced features such as Web tracking, lead scoring, and automated workflow to help businesses deliver the right message to the right customer at the right time. All of the company’s products are designed and built as Software as Service offerings that are offered primarily as a subscription basis, with additional fees charged if specified volume limits are exceeded by our customers. We also look at the top Software 500 through the primary business categories by breaking down industry segments containing the most companies and highest growth. Companies within the Security Tools and Systems category saw an average growth of ten percent. The sector is also the most popular sector of the Software 500, featuring 38 out of 500 companies. Top companies in this category include Gemalto at 41, Indra Sistemas S.A. at 44, Intel at 60, Check Point Software at 73, and ManTech International Corporation at 75. Gemalto is a global provider of digital security solutions. The company offers technologies and services that enable businesses and governments to authenticate identities and protect data so it stays safe and allows services in personal devices, connected objects, the cloud, and everything in between. Indra is a global consulting and technology company and the technology partner for core business operations of its clients businesses throughout the world. It provides unique in-house solutions and advanced and high added value technology services that allow its customers to solve the most critical issues and enhance their processes, efficiency, profitability, and differentiation. Best known for its processors, Intel also provides technologies that support the cloud, the Internet of Things, and advances in memory and programmable solutions. The company also offers a security division, which features the McAfee product line. Check Point Software Technologies Ltd., a global network cyber security vendor, protects customers from cyberattacks. The company offers a complete security architecture defending enterprises—from networks to mobile devices—in addition to the most comprehensive and intuitive security management. Several well-known businesses—Fidelity National Information systems, number 25; Fiserv Inc, number 31; Intuit Inc., number 35; Sage Software Inc., number 58; and Verisk Analytics, number 62—represent the top rankers in this category. Fidelity—or FIS—provides financial technology solutions that power the financial world with software, services, consulting, and outsourcing solutions. Fiserv, Inc. provides innovation in payments, processing services, risk and compliance, customer and channel management, and business insights and optimization. Intuit creates business and financial management solutions that simplify processes for businesses, consumers, and accounting professionals. The company’s flagship solutions include QuickBooks and TurboTax. The company also offers Mint, a money management application targeted at consumers. Its ProConnect brand portfolio includes ProConnect Tax Online, ProSeries, and Lacerte tax preparation offerings. Sage provides integrated accounting, payroll and payment systems, supporting the ambition of the world’s entrepreneurs. Sage began as a small business in the U.K. 30 years ago and over 13,000 colleagues now support millions of entrepreneurs across 23 countries as it helps to power the global economy. Verisk Analytics is a data analytics provider serving customers in insurance, natural resources, and financial services. Using advanced technologies to collect and analyze billions of records, the company draws on unique data assets and deep domain expertise to provide first-to-market innovations that are integrated into customer workflows. Verisk offers predictive analytics and decision support solutions to customers in rating, underwriting, claims, catastrophe and weather risk, global risk analytics, natural resources intelligence, economic forecasting, and many other fields. The IT Consulting/Staffing market is generally a hot one for the Software 500. This year, 30 companies within the ranking make up this category, although hiring is down one percent. The top three rated companies in this sector include SYNNEX Corporation at 12, Cognizant Technology Solutions Corporation at 14, and CSC at 15. SYNNEX Corporation is a business process services company that provides business-to-business services that help its customers and business partners grow and enhance customer engagement strategies. Headquartered in Fremont, CA, and with operations in 26 countries, SYNNEX provides IT distribution and customer care outsourced services, operating in two business segments, Technology Solutions and Concentrix. Cognizant provides information technology, consulting, and business process outsourcing services, dedicated to helping the world’s leading companies build stronger businesses. The company operates more than 50 delivery centers worldwide and approximately over 200,000 employees. According to the company, it enables global enterprises to address a dual mandate to make their current operations as efficient and cost effective as possible and to invest in innovation to unleash new potential. CSC leads its clients on digital transformation journeys. The company provides technology services and solutions that leverage its expertise, global scale, technology independence, and a partner community. CSC serves leading commercial and international public sector organizations throughout the world. In the 2016 ranking, eight companies make up the Data/Data Management category. These companies reported an average 58 percent growth in software and services revenue from the previous reporting year. The top three include Oracle at 3, Teradata Corporation at 55, and InterSystems Corporation at 137. From data center operations to cloud applications, Oracle works on eliminating the complexity that stifles business innovation, engineering in speed, reliability, security, and manageability. Database and data management solutions are core to its portfolio. The company provides Oracle Master Data Management, a comprehensive platform that delivers consolidated, consistent, and authoritative master data across the enterprise and distributes this master information to all operational and analytical applications. Additionally, Oracle’s latest database cloud innovations help more businesses leverage enterprise capabilities while simplifying access for IT and developers. Teradata empowers companies to achieve high-impact business outcomes. This Fall, the company announced its Teradata Everywhere analytic database. The solution parallel processes to multiple clouds, managed, cloud, and on premises environments including Amazon Web Services, Microsoft Azure, Teradata Managed Cloud, VMware Virtualization software, and the Teradata IntelliFlex platform. InterSystems offers an information engine that powers applications in healthcare, finance, government, and other sectors, The privately held company is headquartered in Cambridge, MA, with offices worldwide. The eBusiness Applications business sector features 29 companies that saw an average 35 percent growth in the 2016 Software 500. This category is unique in that it incorporates many verticals as ecommerce continues to grow. Top ranking companies in this sector include VeriSign at 90, Xura Inc. at 189, and PFSweb Inc. at 2018. Verisign provides domain names and Internet security. The company enables Internet navigation for many domain names and provides protection for websites and enterprises worldwide. The company also operates two of the Internet’s root servers and also performs the root-zone maintainer functions for the core of the Internet’s Domain Name System. Xura, Inc. offers a portfolio of digital service solutions that enable global communications across a variety of mobile devices and platforms. The company helps communication service providers and enterprises navigate and monetize the digital ecosystem to create innovative, new experiences through our cloud-based offerings. PFSweb (PFS) is a global commerce service provider of solutions including digital strategy consulting, digital agency and marketing services, technology development services, business process outsourcing services, and a complete omni-channel technology ecosystem. Another noteworthy category is Business Process Management, which saw an average 82 percent growth among the four companies listed in the segment in the 2016 ranking—Insperity, Hinduja Global Solutions, Prophix Software, and IGEN Networks. Software solutions that fall under this category are designed to improve business performance through the management of a company’s business processes. While only four companies in the ranking are listed under this sector as a Primary Business Category, a variety of other software vendors certainly provide solutions that fall under this scope of technology. Growth in the Software 500 is supported by industry research. For example, in a 2015 report, Gartner noted a shift from process improvement to business transformation is driving a move to intelligent business process management suites. The Software 500 ranking and corresponding Growth Charts enable us to look at the overall industry and compare it to previous years in order to recognize trends, areas of growth and investment, as well as determine where the jobs are now and where they might be in the coming years. In the past several years, market consolidation and privatization have impacted the results of the Software 500. In order to maintain competitiveness, we’re considering consolidating the results to a smaller list. Let us know your thoughts by contacting us at edit@softwaremag.com.